Gillian Riley, the force behind The Scotiabank Women InitiativeTM, on how she plans to move the dial for female entrepreneurs. Gillian Riley still recalls the first female entrepreneur she helped to secure the capital to pursue her dreams. Since then, in her nearly 25 years with Scotiabank, Riley and teams working under her have helped many more men and women start or build their businesses. The majority of those entrepreneurs have been men. Now Riley is leading a push to rebalance that ledger with the launch this month of The Scotiabank Women Initiative, a dedicated combination of financing, mentorship and education for women business owners and leaders. To Riley, the education component is crucial. It’s an investment by Scotiabank in getting women founders up and running faster and providing the education they need to confidently ask for –and deserve – capital to leverage growing businesses. On top of that, women-owned enterprises also tend to lag behind male-owned enterprises in business performance such as sales, profits and employment – but that’s changing. New studies are showing businesses owned by women perform better financially than those owned by men. Similarly, companies with more women on boards fare better in the long run. Women-owned businesses represent over $117 billion of economic activity in Canada and employ over 1.5 million Canadians, according to a 2011 report by the Canadian Taskforce for Women’s Business Growth. But there is still a dearth of women business owners relative to the overall number of Canadian business owners - that’s the insight driving The Scotiabank Women Initiative – the understanding that what you don’t know can hurt your business or your capacity to grow it. Riley discovered this when she sat on a trade panel with other women entrepreneurs last fall. It was an eye-opening moment for Riley. She observes that many women want to start businesses and understand how to be operators, but they have often been too shy to ask for help, whether on how to write a business plan, or what’s required to conduct business outside of Canada. Bridging that knowledge gap, she realized, would create an opportunity for the bank to not only put capital to work, but to support women on how to access that money, how to get the confidence to build a plan, and defend it when they speak to the bank. The Scotiabank Women Initiative combines financing, mentorship and education for participants in the program. It’s the education and mentorship that separates The Scotiabank Women Initiative from other, similar programs, says Riley. 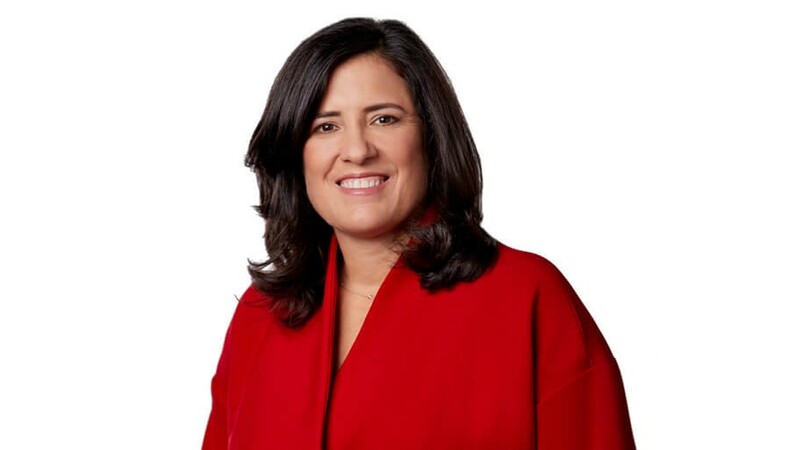 Scotiabank believes the strategic advantage of its program is a four-pillar system that allows women entrepreneurs maximum flexibility and autonomy, but provides them with qualified expert help when they need it. The first pillar looks at helping women get access to capital, the key to growing a business. The second pillar is research. Riley explains that the program will leverage internal and third-party research and insights into the obstacles women founders face. The third pillar is an advisory board of experts from the bank. They will mentor program participants for an hour a month and focus on topical subjects and complex business challenges. They will also provide oversight for the program. The fourth pillar is the one that Riley is especially enthusiastic about — the Un-Mentorship Boot CampsTM. “We’re having round tables across the country with people there to give guidance and information.” These workshops will give women the opportunity to meet and work directly with Scotiabank executives and other industry experts to achieve their goals and navigate growth for their business. The question, “How can I reach the customers who just walk by my store?” is a puzzle that keeps many entrepreneurs up at night. It’s a question commercial banking has been asking too, about women entrepreneurs. From experience, Riley knows that there are other women with a deep level of enthusiasm and commitment to their business; they just need a little help. With knowledge and support from an expert team, Riley expects that the percentage of women-owned and led businesses will increase and she’ll be seeing more entrepreneurs seeking funding, just like her hors d’oeuvres success story.
. Statistics Canada, Centre for Special Business Projects, Julio M. Rosa and Daouda Sylla November 2016.
. Catalyst Workplaces that work for Women: The Bottom Line: Corporate Performance and Women's Representation on Boards, 2007.
. Action Strategies to Support Women’s Enterprise. A report by the Canadian Taskforce for Women’s Business Growth on how women entrepreneurs can be supported in Canada. August 2017. The contents in this interview are for informational purposes only. Neither Scotiabank nor any of its officers, directors, partners, employees or affiliates accepts any liability whatsoever for any direct or consequential loss arising from any use of its contents.